Nothing shown aside from the announcement, but could be good news and another nail in the AoW coffin. I've purchased a bunch of Classic Sonic and Sega statues from them. Their quality is very good, though the QC is sometimes a little iffy. 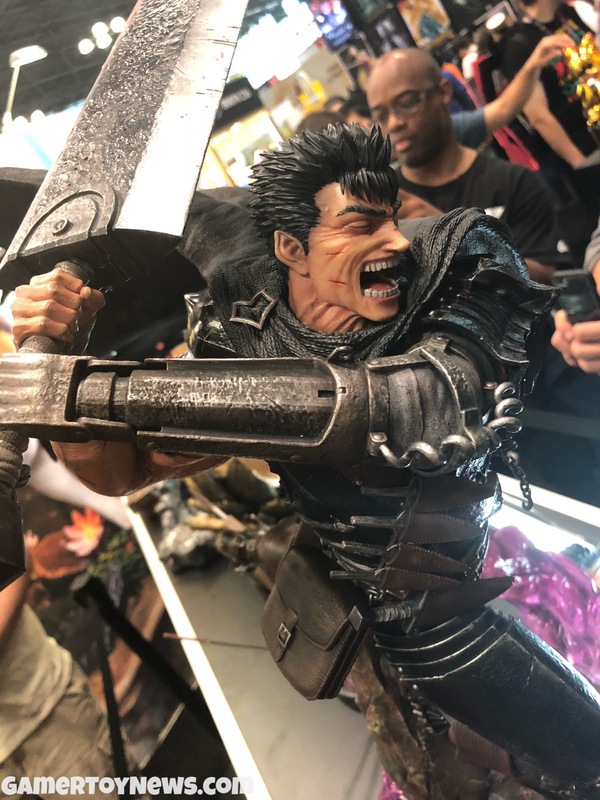 I have no experience with them but I'm glad to see more companies doing Berserk merchandise. Wow! Crazy! F4F is getting everything these days. I own their entire line of Zelda statues, as well as some of the Metroid, and other gaming statues. Their prices are very good and poses are quite dynamic. Awesome customer service and interaction (they have FB lives, Q&A, etc). I'm excited to see what comes of this! Yeah that is somewhat exciting. I owned their entire Zelda line (sold off a lot of it except couple key pieces I can't part with) and also random assorted figures from other games. 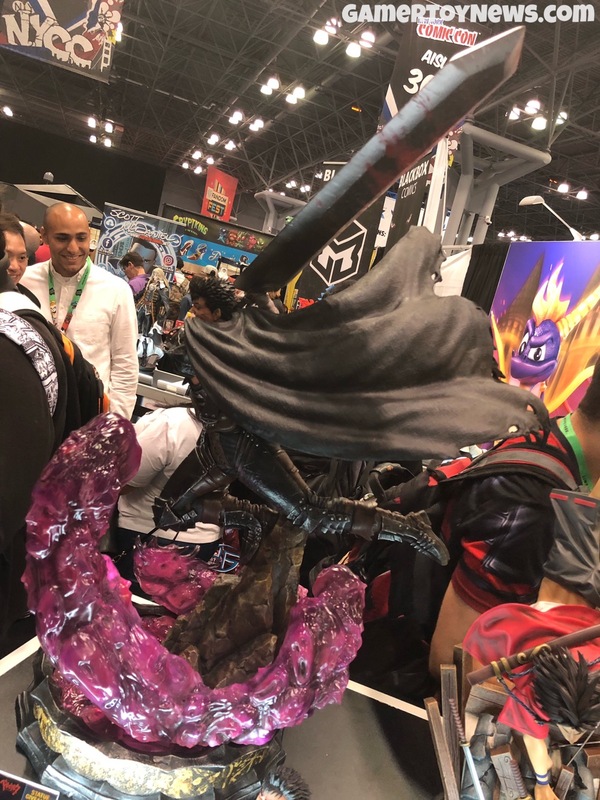 Their quality I'd say is pretty good....quality problems were more prevalent when things started with Fierce Deity etc (I still have a couple of those with usual damage lol). Their pricing is pretty fair for sure and the Davis family does a good job organizing and growing the brand (f4f). Let's see what they come out with.....usually they don't do dioramas so I expect single character releases. I think they're off to a good start and second one is looking better. Still not quite right, though. 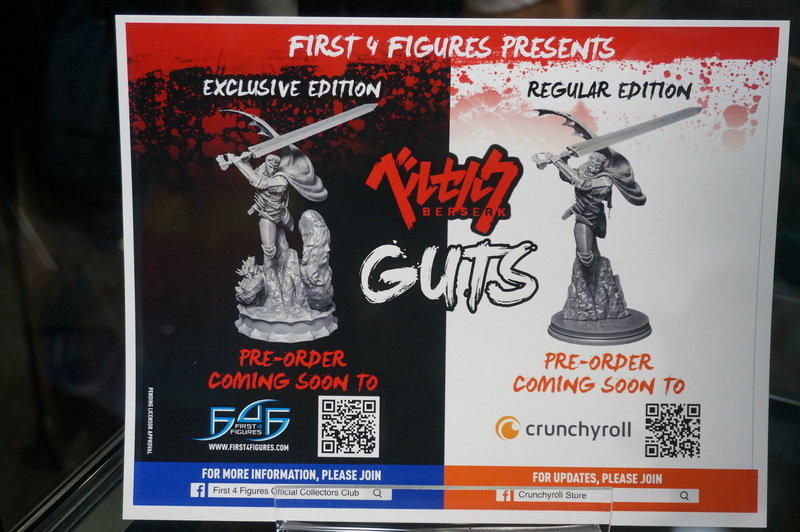 I hope they are able to put out figures for characters that aren't just Guts, as well! I feel like you can only have so many statues of the guy before it starts to look like you have a creepy obsession. Haha, the stare is odd and I agree with you on characters. There's only so much I can take of the same 4 characters in alternate poses/armors. I really hope they spread the love. 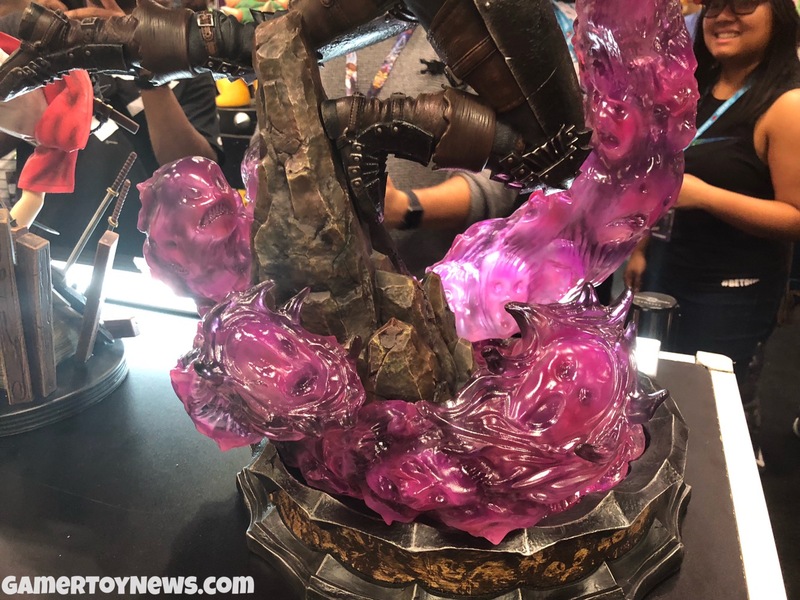 I'm interested to see what they do for scale and price on these. My first purchase from F4F was their Classic Sonic and I think he was $90. Sure, that was 2008, but even then, I was amazed at that price for a statue of that size and overall quality. 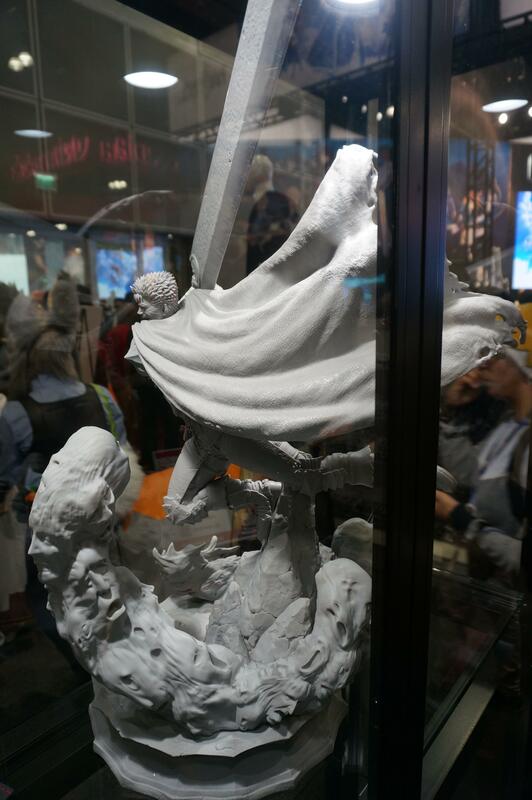 Even their latest Dark Souls statues (Artorias, Sif) are pretty reasonably priced by today's standards. 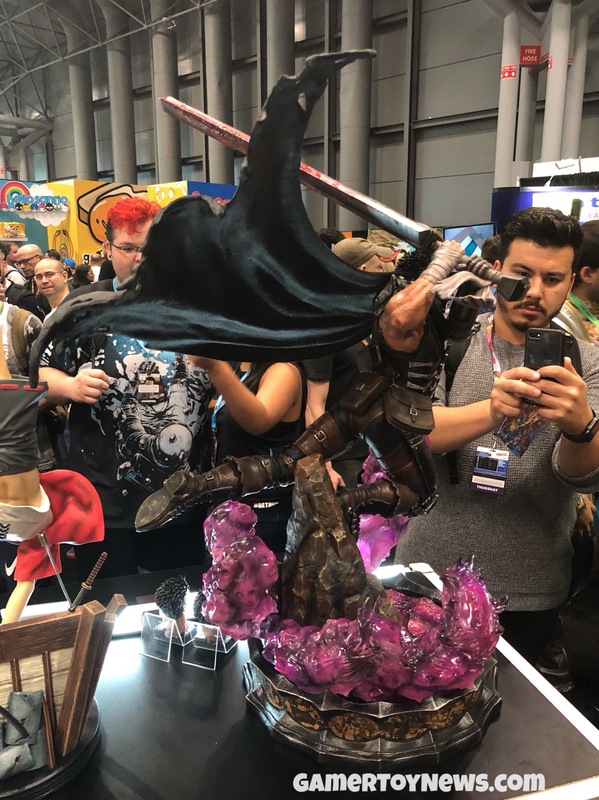 Those same statues from another company would have probably been between $650 and $1000. If they stay competitively priced (and make good statues, obviously), they should do well with this line. I figured I'd post the last updates I saw on this. It will definitely be an action pose, which is nice considering Prime1's is more of a static/museum pose. The evil grin face is cool, I like that one. 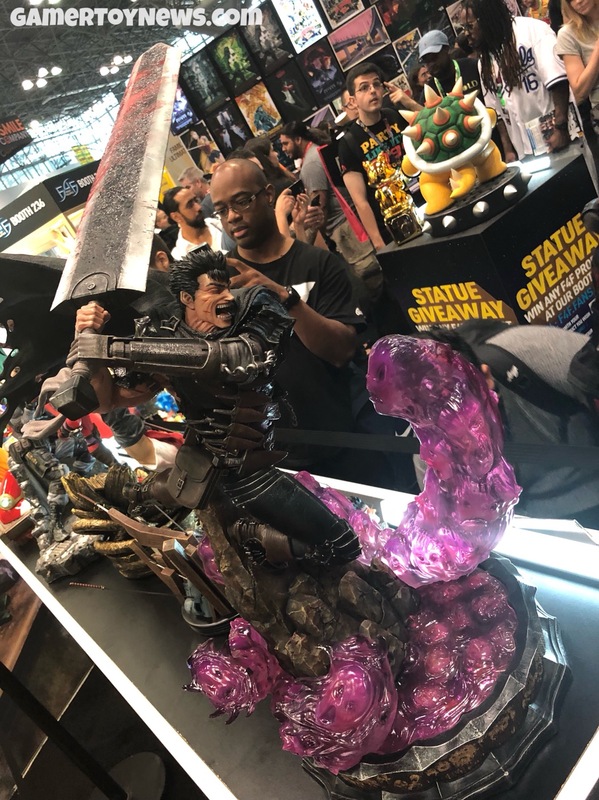 If I was to buy this statue, that's the one I would go for. The glowering expression is showing improvement, but it still feels like it needs work. Maybe in context it'll be better, but looking at it now, I have to echo the sentiments that the position of his eye makes it look a little goofy. It's not as goofy as the angry screaming face though. 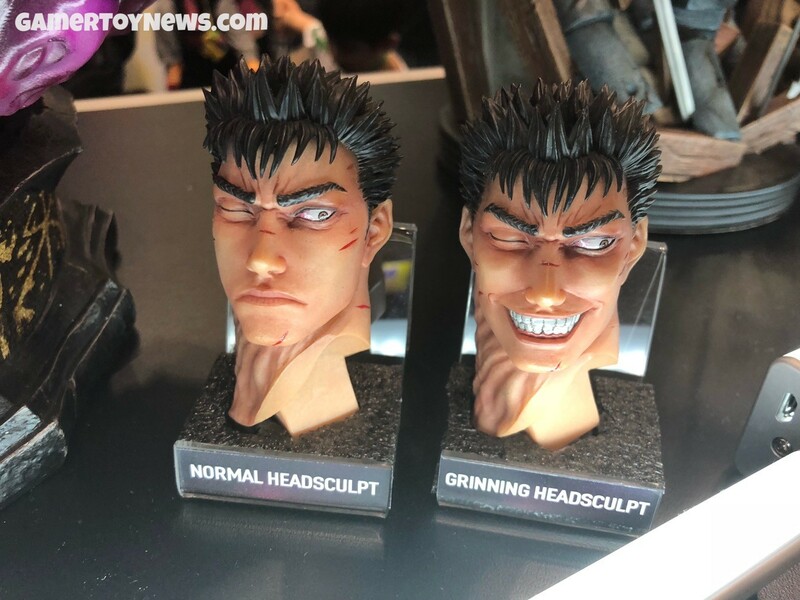 With how square his mouth looks, and how his eye just seems to be trailing off, it looks like Guts is doing an impersonation of Mozgus' face. My only First4figures statue, Artorias from Dark Souls. 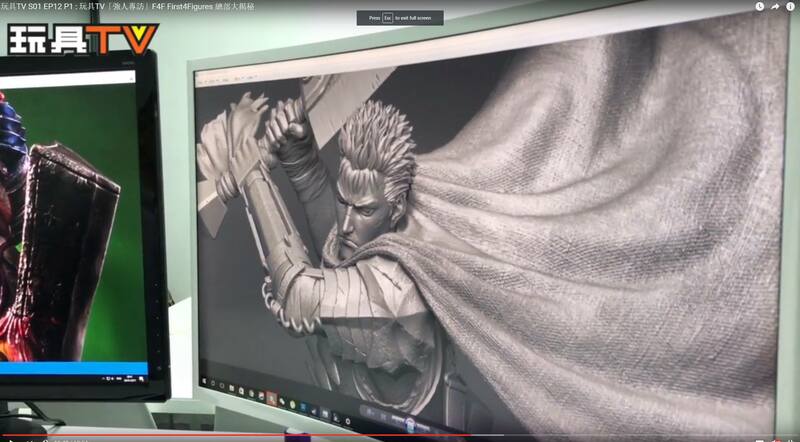 I'm confident they will do Berserk justice. I'm not. That kind of job - your Artorias - is lazy in my opinion. First of all, they use the game model low polygon as a working base. 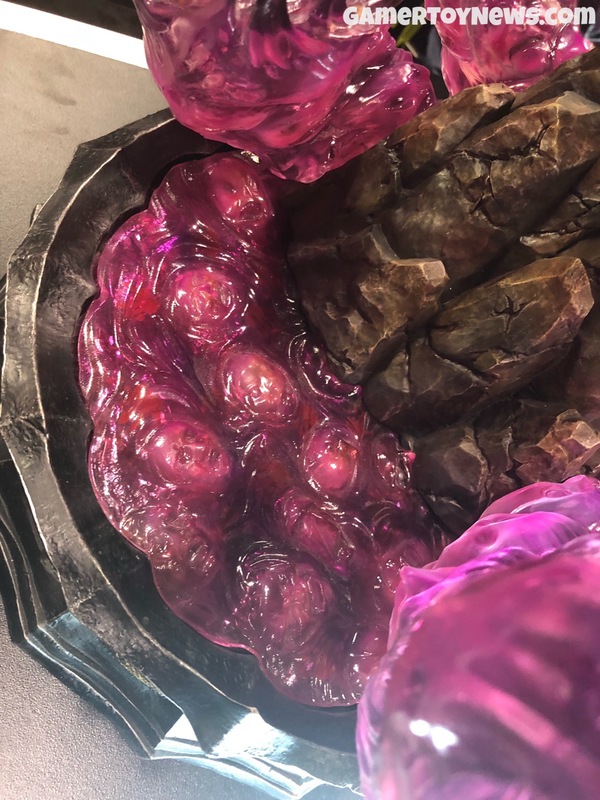 Which is, in good hands, not a bad thing, but it becomes a bad thing If you don't rework it from scratches, while using the game model as a reference, and only that. The pose lacks imagination. Probably a matter of taste but the paint job doesn't impress me. 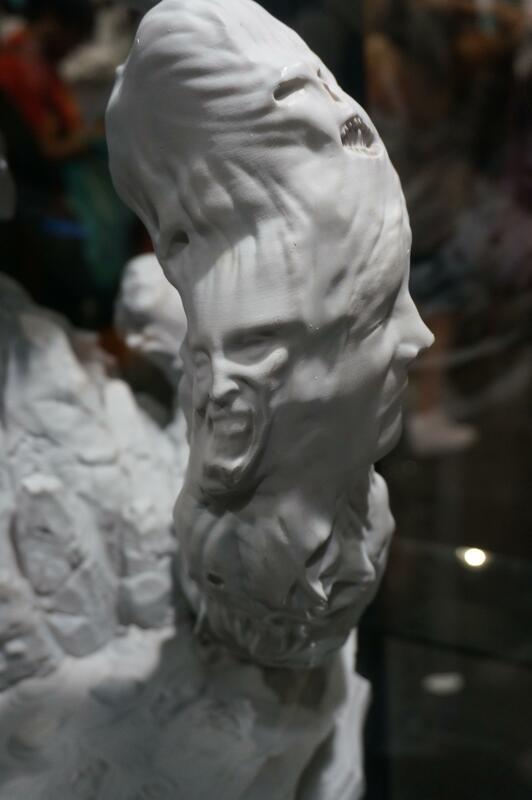 While I respect your opinion because you are a very talented sculptor, I disagree. Being a big fan of the Dark Souls series, I feel F4F captured Artorias perfectly. Do I think the paints perfect? No, it's a mass produced statue painted in factories. But I can say that about every statue I own. As for there Guts, hell not one major company ever got it exactly right, closes I've seen was maybe the Gecco 1/6. 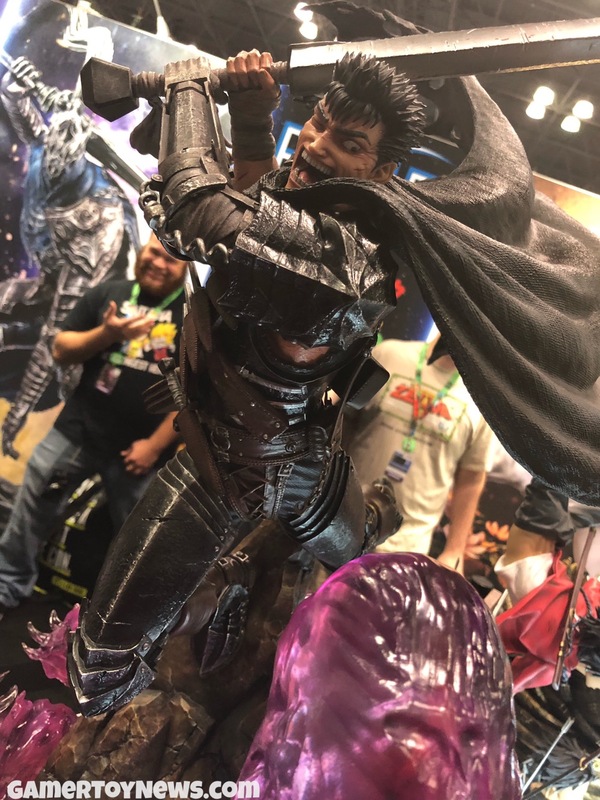 None of its perfect, but finally we as fans and collectors are getting to see more Berserk related items, some good, some bad. 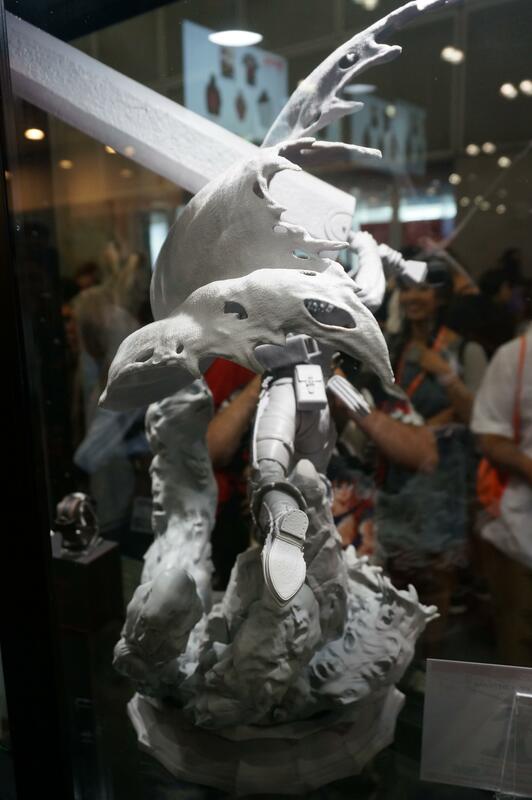 I agree that the base is pretty weak for Artorias, but the statue itself is very good. Nice details, good paint app (again, aside from the base) and the pose is pretty much adapted from the pre-enemy toss in his fight intro. 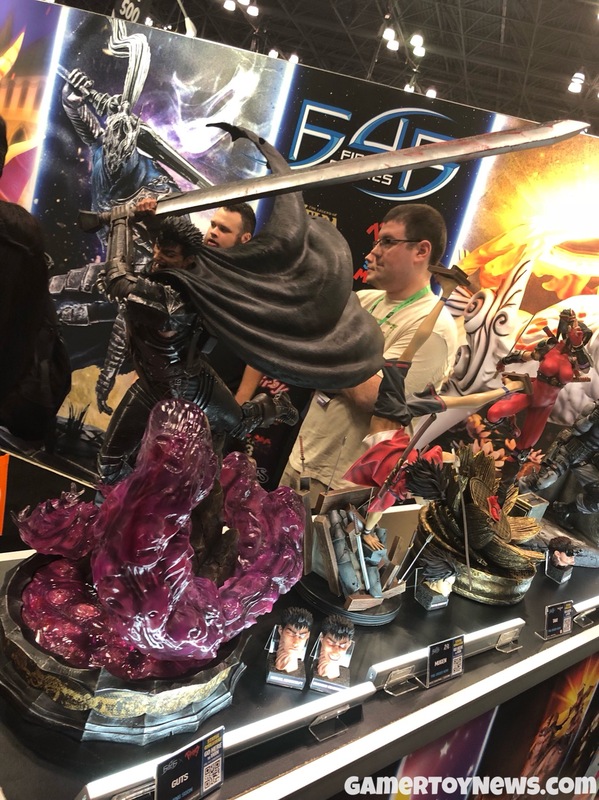 As far as F4F statues go, I think they did a great job on Artorias. Having said all that, your Berserk portraits have been some of the best I've seen, Theoden. 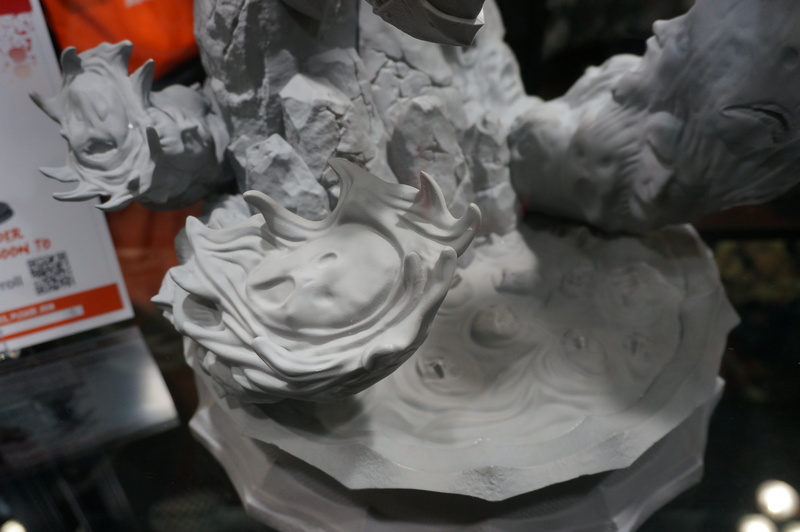 I don't think theirs match what you've already done but I'm still interested to see how the final statue turns out. F4F are great with feedback and listening to fan/customer/supporter input. 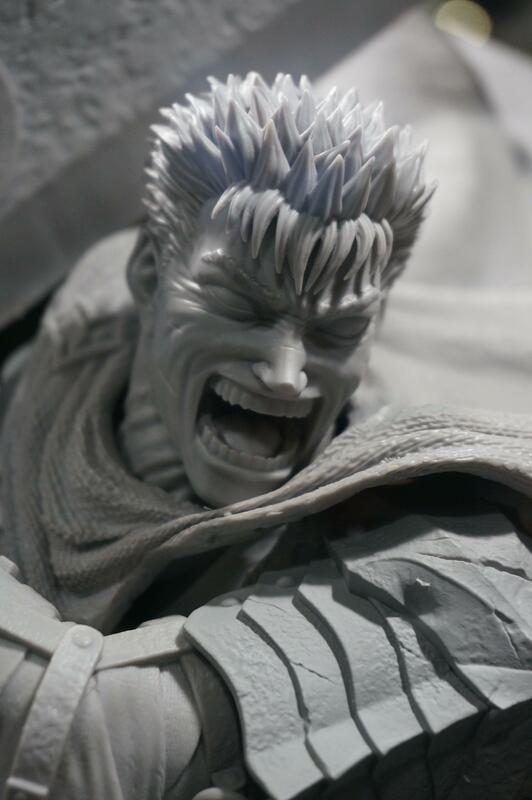 There is a Facebook group called First 4 Figures Official Collectors Club. 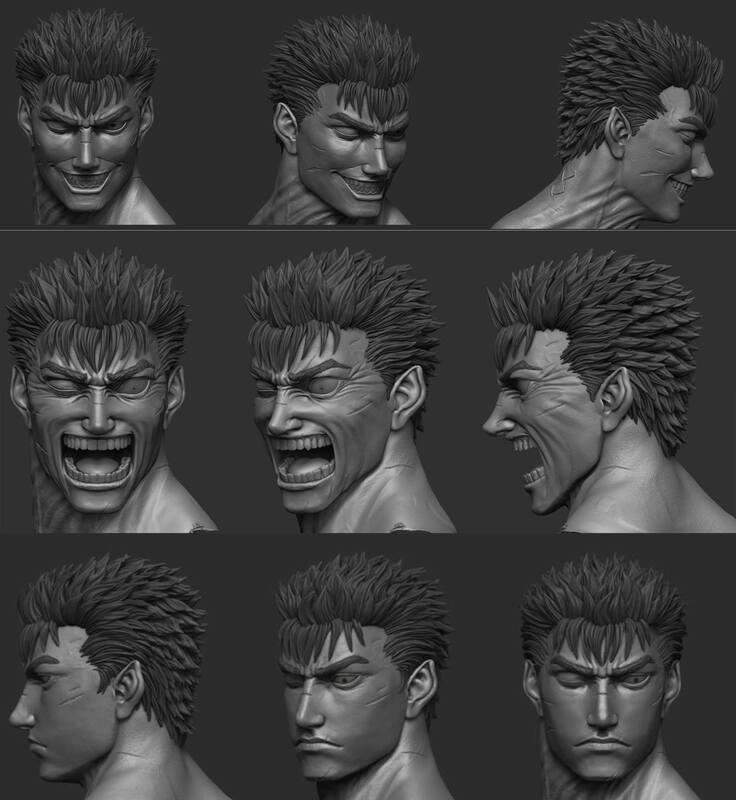 If you're inclined to send a request to join then put in your input for Berserk figures, that would be amazing. The more support and input we give the better products we get. That means better quality and accuracy as well as more characters produced. You all may have some input to give about the portraits for this particular piece. 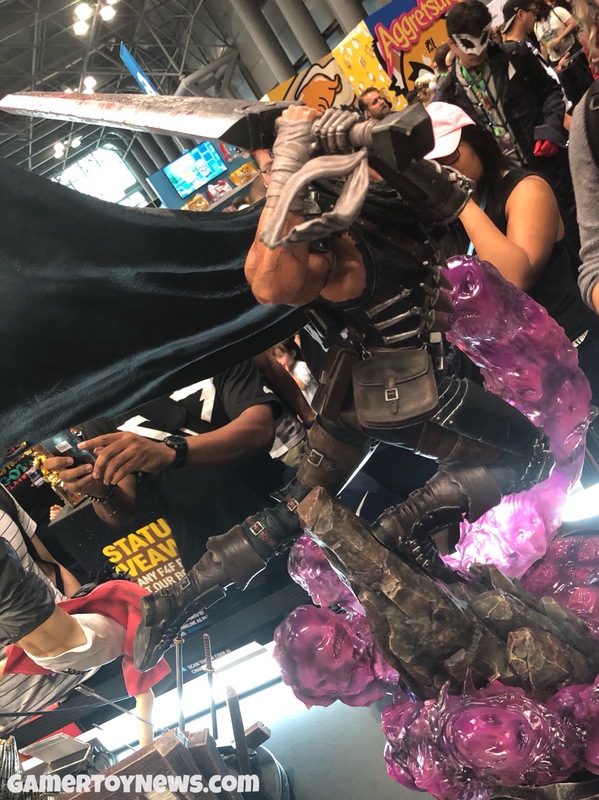 This statue is fresh off the printer apparently and still a long ways from pre order. If there is any constructive criticism to be made, I would urge you to put it out there. I love praising the hell out of it but also feel the need to come up with some input that could possibly improve what we're seeing. 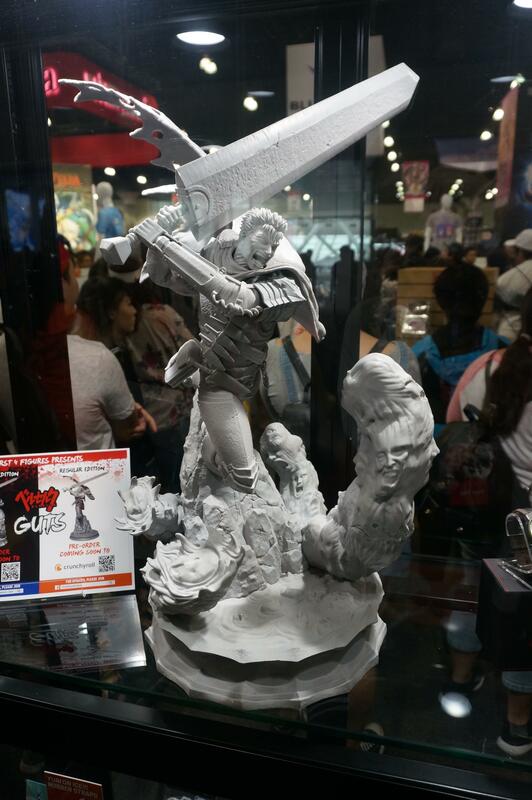 An unpainted prototype of the Guts exclusive version was shown at Crunchyroll's booth at this year's Anime Expo. Pics are just screenshots of a Video... It's the shouting head. It's the reg and the ex head. The only difference is the Position of the eye. 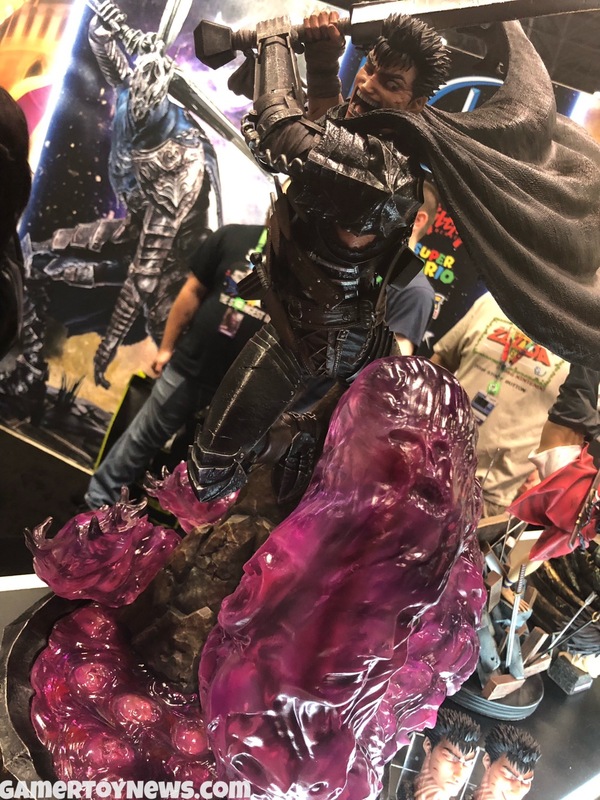 A colored prototype of the Guts exclusive version was shown at First 4 Figures's booth at this year's New York Comic Con. I'll check it out this weekend. What's up with his neck ? !